Gujarat Police Recruitment Board has published an Advertisement for below mentioned Posts 2018. Other details like age limit, educational qualification, selection process, application fee and how to apply are given below. Here is Model Paper for this Constable exam. Download from Below Link. 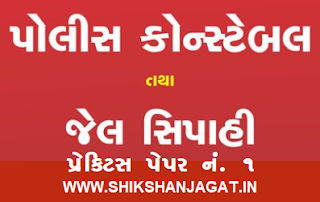 3 Comments "Gujarat Police Constable 2018 Model Paper No.1"